Valve’s attempts to curb wanton hacking in Counter-Strike: Global Offensive took another step today as a new patch detailed their “Prime Matchmaking” initiative. Need some more gun-toting action? Here are the best FPS games on PC. The new feature, found by parsing strings from the beta build of the latest patch issued on April 21, will allow players to upgrade their account to Prime status. Prime accounts must have a valid phone number linked to their Steam account, and will prioritise being placed in matchmaking against other Prime accounts. Players simply need to verify their account, then hit the “Upgrade” button when prompted to join Prime. And just as with Steam’s 2-factor authentication, the number cannot be a virtual or internet phone number such as Google Voice. The feature is currently in beta, and is strongly framed as an experiment, which Valve are prone to conduct and drop if they turn out to be disasters. 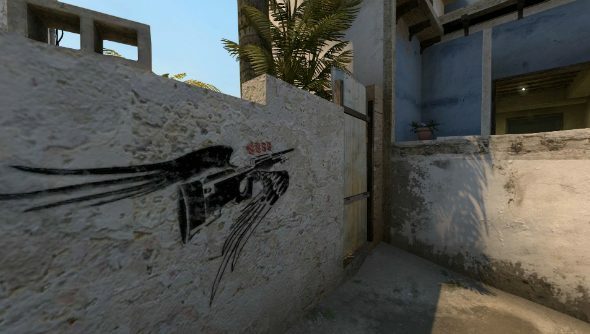 Other additions from the patch include various bug fixes, and a neat tribute toMarcelo “coldzera” David’s 4-kill AWP rampage on Mirage with some appropriate graffiti on the position he held to keep Luminosity Gaming’s hopes alive in MLG Columbus (which you can see in the header above).